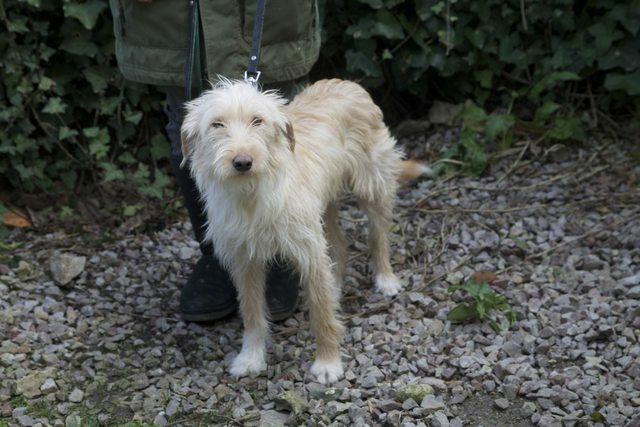 Pixie is approx 14 months old, possibly a Lurcher type cross, wire coated and of slim build and medium size. 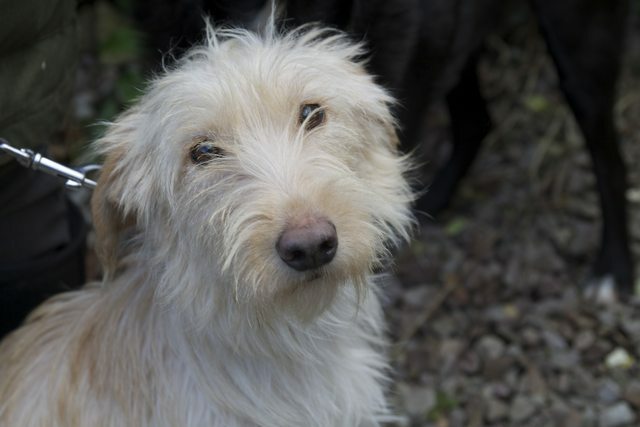 Pixie was found abandoned in January 2019 with 3 other dogs and was very sad, skinny, scared and bewildered, scared to move, she was also pregnant even though she was so skinny, poor Pixie had already given birth to a puppy when we found her, the poor puppy was dead, she then gave birth to another, just one more and this little puppy did survive and does have a happy ending. Happily Pixie is now doing well, she has put on weight and is much more confident. 40 centimetres tall to the shoulder. Pixie is beautiful and very affectionate, good with people, respectful children over 10 years old would be considered, likes cuddles and other dogs, she has learnt to walk quite well on lead, she continues to progress. She is inquisitive and playful, interested in life. 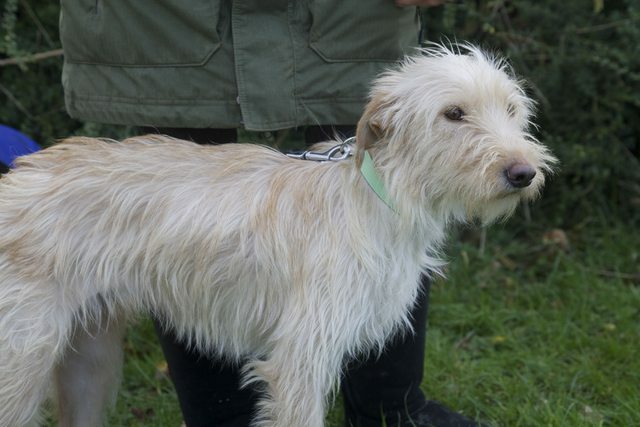 Pixie would benefit from having a doggy pal to live with, to help her with her confidence, she is looking for a loving home to share with people that will give her plenty of time, love, patience & understanding. No to cats. Currently living a a foster home. Microchipped, vaccinated and spayed.